Jesus is as American as baseball and apple pie. But how this came to be is a complex story—one that Stephen Nichols tells with care and ease. 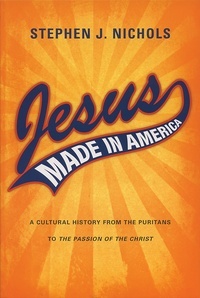 Beginning with the Puritans, he leads readers through the various cultural epochs of American history, showing at each stage how American notions of Jesus were shaped by the cultural sensibilities of the times, often with unfortunate results. Always fascinating and often humorous, Jesus Made in America offers a frank assessment of the story of Christianity in America, including the present.